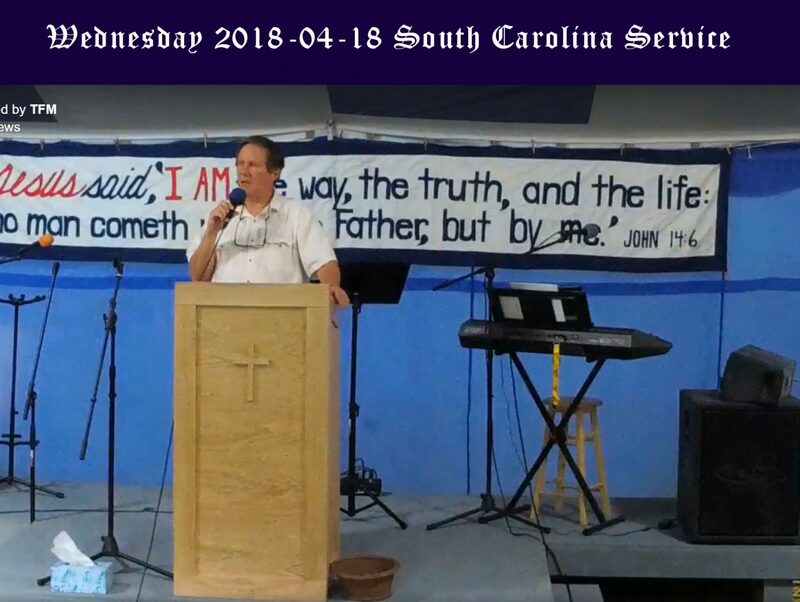 South Carolina Wednesday Service 2018-04-18-Never neglect the small things, The Lord doesn't. Never neglect the small things. The Lord doesn’t. People are willing to acknowledge things are going in the wrong direction, we cannot keep doing the same thing and expect things to change. Americans want a life without sacrifice. We want the good things to happen to us without having to be diligent or give practice to the things we need to give practice to. We need to be serving Jesus Christ so it is His word we need to know and follow. It comes down to giving up our life and taking up Christ’s. Hang onto the Lord and fight that good fight of faith, and all the battles we are terrified of will melt away. Fearing the name of the Lord is a choice and it has nothing to do with what we feel, see, touch or taste. We will never feel like fearing the Lord. It is not our sin that causes us to miss out on His heavenly gift, it is our pride thinking we can do it on our own. If we keep the two commandments everything else falls into place. Love the Lord thy God, and love your neighbor as yourself. If we don’t do the first commandment we can’t do the second. God is good and we are evil, since when did evil do good? We have to join ourselves to Him to be able to do any good. He has to be first and foremost before everything. Our entire outlook should be up and out, up to the Lord and His things and then out to see how we can share it with others. Then the Gospel can flow freely. When we are a servant unto someone, then we make that person our master.